snapshots of the moon are generally pretty pointless, and this one is no exception, but the full moon on the 24th got me all excited. september 22 will be the mid-autumn moon festival, the brightest moon of the year. this is one of my favorite holidays ever, and the full moon that precedes it never fails to get me excited about the next one. although i do not have the patience (or the lard) to try and make mooncakes, i think i will make some sweet red bean bao to mark the night. 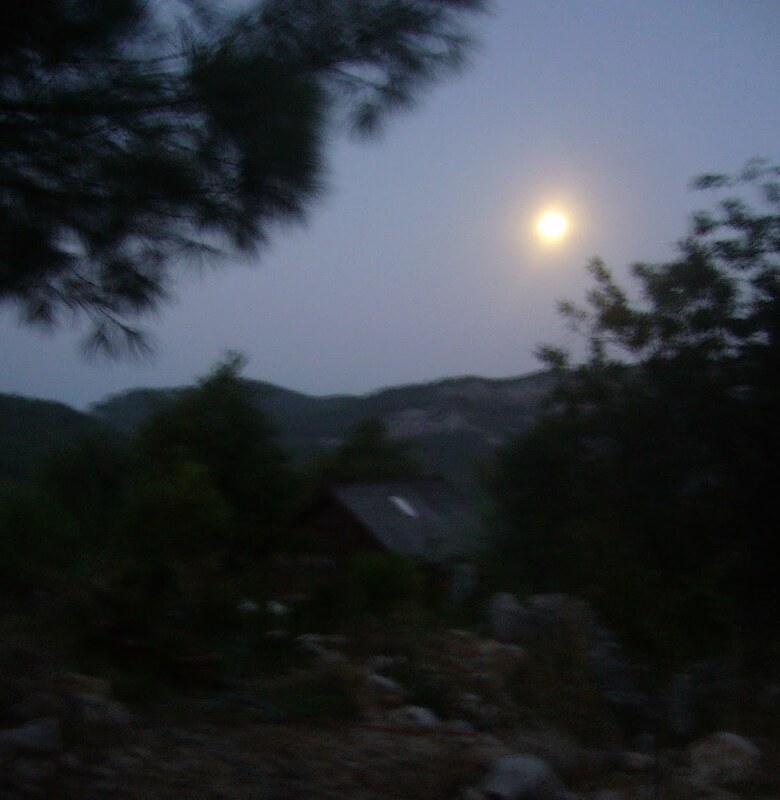 this month’s moon was so bright, the cool silver light was bright enough to navigate our rocky path down to the red house by (and keep an eye out for black scorpions that hang out on the path at night — we’ve killed two so far this summer on the path alone). the full moon next month is not the only thing i am looking forward to. as we near the end of the very hottest days, i feel that we are watering and working in the garden as an act of faith. everything seems tired of the heat, and some plants are just plain dying. my snapdragons are goners, for example. the daily watering has started to feel a bit of a slog, and the thought of rainy days in the coming months is soothing. this morning, the air was notably cooler and i went berserk, running around and getting chores done. at about 930, i realized i was sweating like crazy — it had been cool at 7, but it wasn’t so cool once the sun was up! still, the fever of august is breaking, and that can only be for the good.